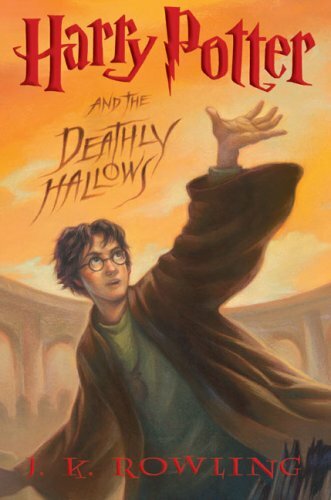 Nota Bene: Much that happens in Harry Potter and the Deathly Hallows is revealed here. A little more than a hundred years ago, a number of British educators, journalists, and intellectuals grew exercised about the reading habits of the nation's children. The particular target of their disapproval was the boy's adventure story—the kind of cheap short novel, full of exotic locations and narrow escapes from mortal peril and false friends and unexpected acts of heroism, that had come to be known as the "penny dreadful." Surely it could not be good for children to immerse themselves in these ill-made fictional worlds, with their formulaic plots and purple prose; surely we should insist that they learn to savor finer fare. Then came riding into the fray a young man—twenty-five at the time—named Gilbert Keith Chesterton, who, though a journalist and an intellectual himself, repudiated the hand-wringing of his colleagues and planted his flag quite firmly in the camp of the penny dreadfuls: "There is no class of vulgar publications about which there is, to my mind, more utterly ridiculous exaggeration and misconception than the current boys' literature of the lowest stratum." Chesterton is perfectly happy to acknowledge that these books are not in the commendatory sense "literature," because "the simple need for some kind of ideal world in which fictitious persons play an unhampered part is infinitely deeper and older than the rules of good art, and much more important. Every one of us in childhood has constructed such an invisible dramatis personae, but it never occurred to our nurses to correct the composition by careful comparison with Balzac."